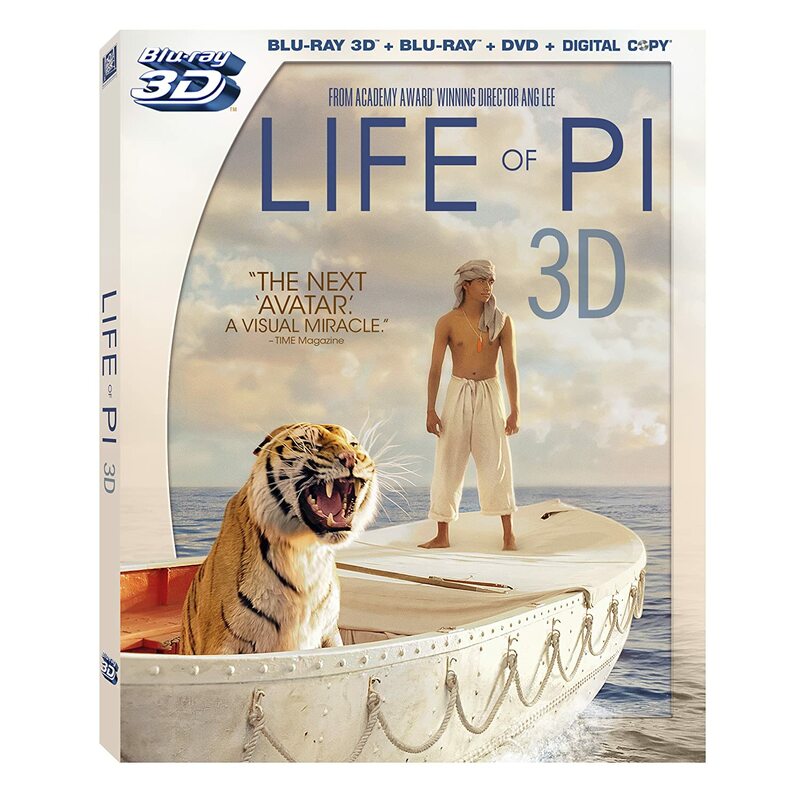 We have the early Blu-ray 3D cover art for Life of Pi. Suraj Sharma, Irffan Khan and Rafe Spall star in Ang Lee’s 3D adventure, based on the best-selling novel by Yann Martel. 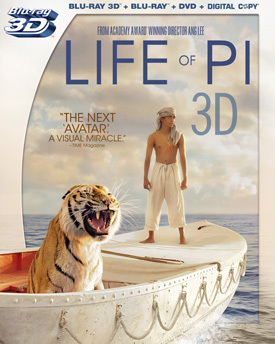 You can see the Blu-ray cover art and movie trailer for Life of Pi below. A young man (Sharma) who survives a tragic disaster at sea is hurtled into an epic journey of adventure and discovery. While marooned on a lifeboat, he forms an amazing and unexpected connection with the ship’s only other survivor — a fearsome Bengal tiger. MPAA Rating: (PG) for emotional thematic content throughout, and some scary action sequences and peril. The precocious son of a zookeeper, 16-year-old Pi Patel is raised in Pondicherry, India, where he tries on various faiths for size. Planning a move to Canada, his father packs up the family and their menagerie and they hitch a ride on an enormous freighter. After a harrowing shipwreck, Pi finds himself adrift in the Pacific Ocean, stranded on a lifeboat with a hyena, an orangutan, an injured zebra and a 450-pound Bengal tiger named Richard Parker. After the beast dispatches the others, Pi is left to survive for 227 days with his large feline companion on the 26-foot-long raft, using all his knowledge, wits and faith to keep himself alive.